ZTE Corporation, a publicly-listed global provider of telecommunications equipment, network solutions and mobile devices, is pleased to support Algérie Télécom in the launch of 4G services, helping to deliver LTE connectivity to consumers and businesses in Algeria for the first time. As one of the main solution providers for Algérie Télécom’s FDD-LTE network, ZTE is responsible for the infrastructure in 14 provinces, including the capital city Alger. The LTE project of Algérie Télécom is a key pillar and broadband strategy of the Algeria Ministry of Post, Information Technologies & Communication to provide reliable high-speed data connectivity to consumers and businesses. “The new LTE network of Algérie Télécom is a key milestone in the development of Algeria’s telecommunications industry,” said Huang Dabin, Senior Vice President of ZTE. “ZTE is pleased to expand our partnership with Algérie Télécom by helping to deploy the first 4G network in North Africa, and the second commercial network across Asia. Algérie Télécom is the only operator of fixed line telecommunications services in Algeria, responsible for infrastructure projects including the national broadband network and E-Algeria. Broadband network infrastructure construction is a priority in Algeria to increase the country’s telecommunications capacity and broadband network coverage. By December 2013, ZTE had secured 140 LTE\EPC commercial contracts. 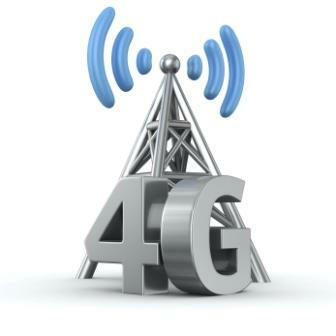 ZTE was the world’s fastest-growing provider of 4G systems in 2013, and has launched commercial LTE networks for operators including China Mobile, China Telecom, Hutchison, KPN, Telenor, TeliaSonera, Vodafone, VimpelCom and Bharti Airtel.